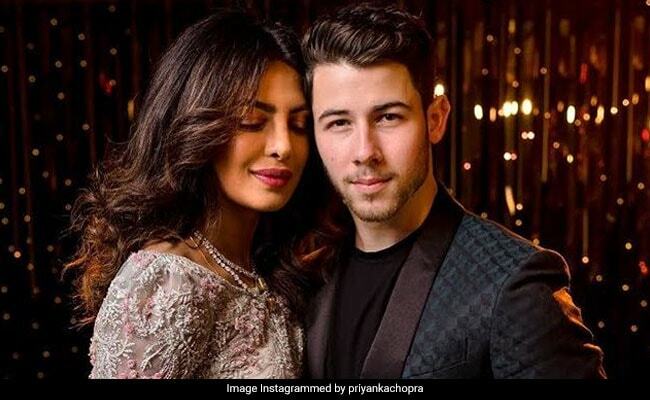 Priyanka Chopra and Nick Jonas rounded off their wedding celebrations with a second reception party in Mumbai on December 20 and the 36-year-old actress shared a glimpse from the function on her social media accounts. Priyanka shared a brand new photo of herself with Nick Jonas from the reception party and she attached a love struck emoticon to it. Priyanka and Nick look adorable in the new picture. For her second reception party in Mumbai, Priyanka wore an embellished outfit from the house of Abu Jani Sandeep Khosla while Nick complemented her in a green suit. The reception party was attended by Salman Khan, Ranveer Singh and Deepika Padukone, Anushka Sharma, Katrina Kaif, Kangana Ranaut, Karan Johar, Kajol, Rekha Hema Malini and Shahid Kapoor and Mira Rajput. Earlier, Priyanka Chopra had shared a photo of herself with Nick Jonas from her first wedding reception party in Mumbai, which took place on Wednesday. For the party, Priyanka wore a custom made blue lehenga and Nick opted for a grey suit.